I stopped at my Dollar Tree yesterday to pick up some Halloween cups and plates, and these somehow ended up with my purchases! They had dozens of these in twin packs, so for 50¢ per polish, that's not a bad deal at all. 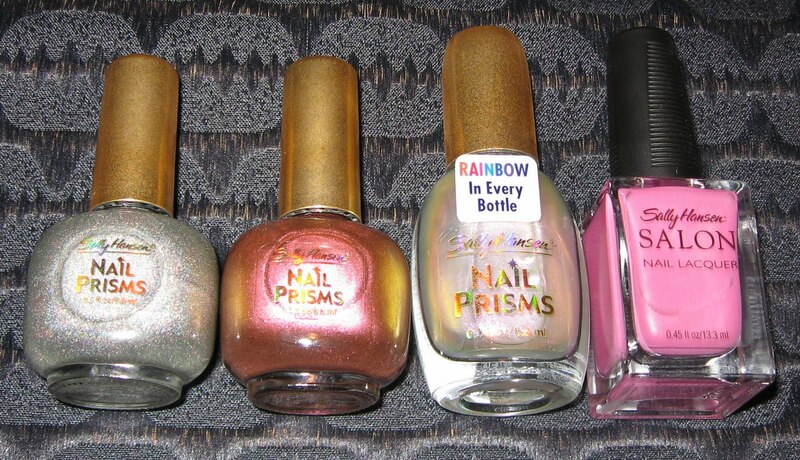 I was more interested in getting the Nail Prisms, but the old Salon line is nice too. Below L-R: Diamond, Golden Cinnabar, Lavender Pearl, Rose to the Occasion. Below: I did a quick swatch of Diamond using 2 coats, and I had only clouds to work with so I don't know it there's more to this one in the sun light. It looks like it could have a little bit of holographic action going on, but I actually like it just the way it's pictured. 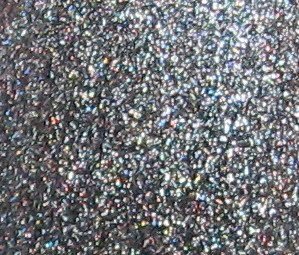 Below: With a flash you can see a few more colors, but it's primarily a charcoal/silver color with very fine glitter. Below: Macro shot of the finish. There selection at my dollar tree wasn't that varied, just lots of the same colors. Check yours out and report back what you're finding! Oh, I'm going to my dollar tree today!!!!! That is a gorgeous silver polish. Love buying polishes from the Dollar Tree. It's always a suprise when you go there. Love how the Sally Hansen Nail Prisms work, the silver polish is gorgoeus. I will have to check the dollar store out myself. Thanks for the tips. I must go and check out my Dollar Tree! Gorgeous! I never seem to find nail polish at my Dollar Tree...maybe one day when I least expect it! Yay!! I did a post about my findings on my blog. My Dollar Tree had plenty of different sets.